A quick disclaimer before I get into things – my only exposure to Daredevil before I watched the Netflix series the first time around was the Frank Miller comics which I loved, and the Ben Affleck movie which I mostly disliked. 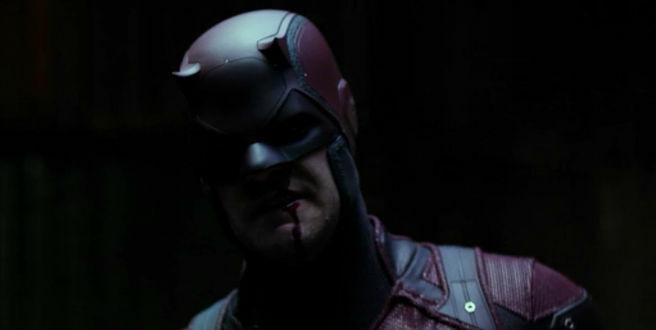 My decision to watch Daredevil on Netflix was borne purely out of curiosity (could it be better than the film?) and the fact that a lot of my friends were raving about it on social media. Like many others at the time, I binge-watched the series over a few days and loved it. As a self-confessed mega-fan of both Batman and Film Noir, the series hit all the right spots for me: tortured protagonist, sprawling crime drama, amazing action set pieces; check, check and check again. A 5/5 for me easily. So, in preparing for Season 2, I decided to dive back in to refresh my memory and re-watch this amazing series . So is it just as good second time around? I absolutely love the casting for this series. I only really knew Charlie Cox from Stardust and when I read he’d been cast as Matt Murdock I couldn’t really see him in the role. 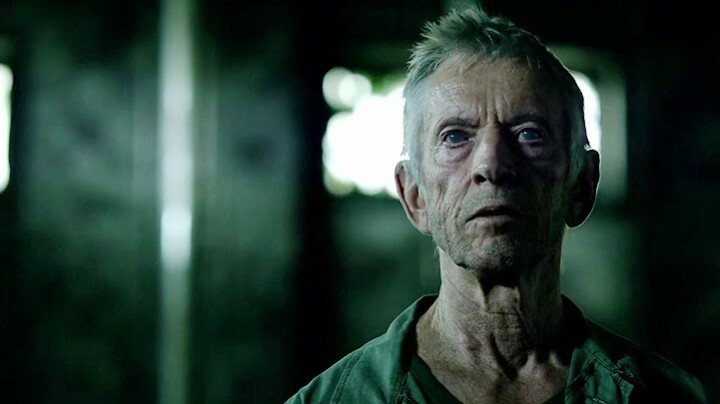 After watching the show again, he’s perfect as far as I’m concerned and I can’t really imagine another actor playing Murdock as well as he does. The duality of selfless do-gooder lawyer and seething, almost homicidal, vigilante is played so well that he completely immerses me in the show with each episode. Excellent too are the majority of the supporting cast and in particular Vincent D’Onofrio with his take on Wilson Fisk. D’Onofrio might not have the height, but they certainly do a good job on the show of making him a menacing presence. 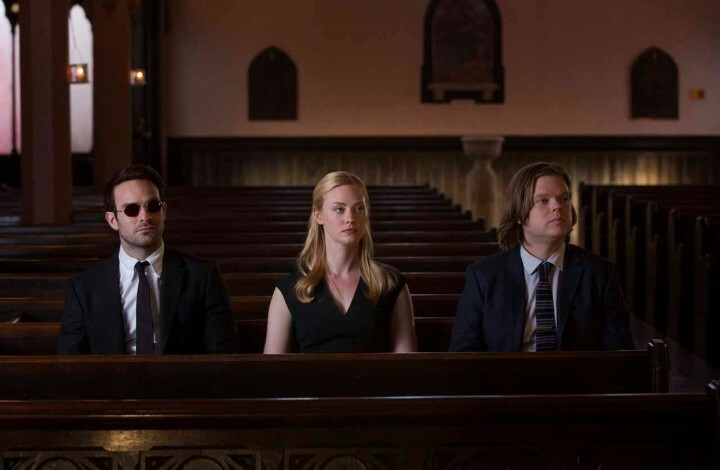 I’ve always been a fan of detective stories, particularly those with noir under(or over)tones, so I was especially pleased when I saw those elements in Daredevil. I especially enjoyed the crime family elements and Fisk’s ambitious rise to power as he manoeuvres pieces around him into place only to be disrupted by Daredevil. The Dark Knight is one of my favourite superhero films and there were times I was reminded of it, although with a very different dynamic between the hero and his villain. 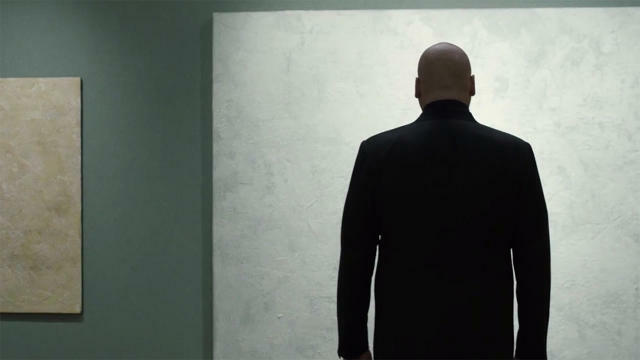 I appreciate that D’Onofrio’s portrayal of Fisk divided many fans, but for me I absolutely loved that we had not only a fully fleshed out origin story as character development for the hero, but for the villain as well. I loved the flashbacks and the way their childhoods contained horrific events, both of them dealing with that in very different ways; Matt as a blind kid losing his dad and Fisk, well. If you haven’t seen it then you need to. That sequence still stays with me long after I’ve seen the episode. Even most of the smaller parts have a character arc or at the very least depth which keeps you wanting more. 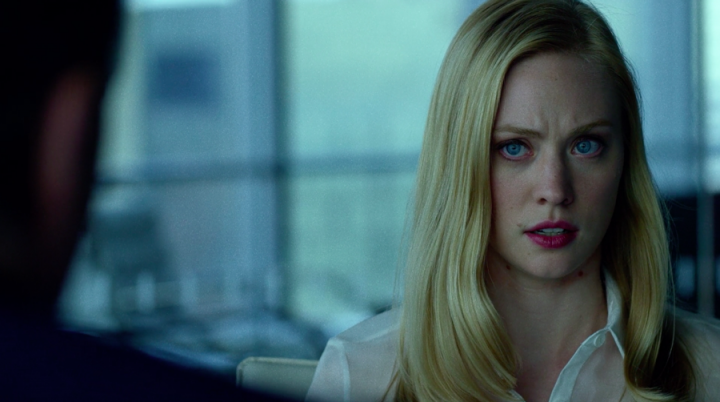 Sorry Karen fans (if any exist), I found her story-lines mostly bearable first time around, but this time her willingness to put herself and others around her in danger was so incredibly frustrating to watch. I find whenever she’s on, my brain actually ‘checks out’ from the show until her bit is done. I don’t have a problem with the actress but I’m definitely not a fan of the writing for Karen especially given the repercussions of her actions. I understand that there’s always uncertainty whether or not a series will be renewed and so for many shows their last episode is usually an attempt to wrap things up as neatly as possible. But wow at Daredevil’s last episode. Just wow. After a whole series of careful chess-like plotting from Fisk, it completely unravels in the space of 30 minutes. I also find the end fight between Daredevil and Fisk to be utterly ridiculous which is a shame after some of the incredible sequences earlier in the series. From the Oldboy-inspired sequence in episode two to a rather uninspired show down between the hero and the villain at the end. A shame really, as the bar for action sequences was set so high at the start of the season that I don’t think the ending could really match it. So would I change my rating at all second time around? I think so yes. I didn’t binge-watch it on second viewing, I had time to think between episodes and consider my response rather than rushing through to the next episode to see what happens. It’s still a brilliant series that appeals to me personally on many levels, but I think I’d regrade to a 4/5 with the last episode and some of the duller story-lines pulling it down from a 5/5. That doesn’t mean I won’t be watching series two however and it’s still the best superhero TV (mini? )series in my opinion. I’m looking forward to seeing how Elektra and Punisher will come into the mix, whilst still keeping it a drama that operates at ‘street level’. 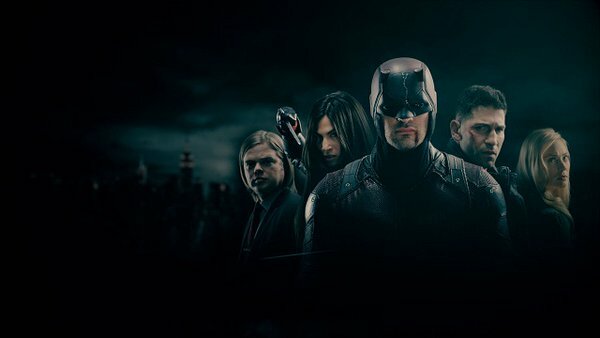 The second season of Daredevil is out on Netflix on 18th March. I’m sure you’ll join me in binge watching, excessive consumption of snacks, soft drinks and randomly shouting ‘VANESSAAAAAAAAAAAAAAAAA’ at the screen. 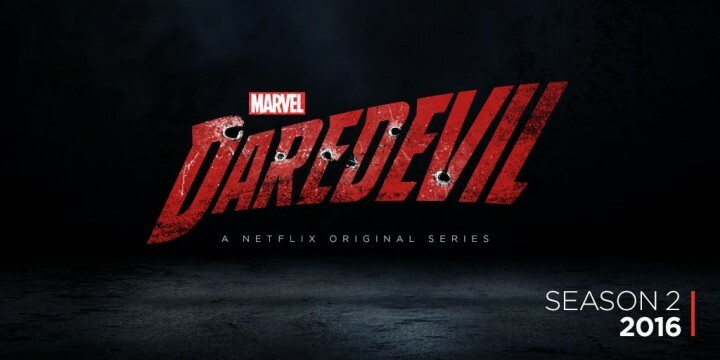 What did you like about series one of Daredevil? What were you not so keen on? Let us know in the comments.